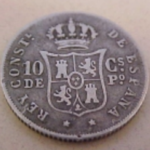 Kevin T. writes: Could you give me the approximate value of an 1825 Spanish Milled Dollar (8 reales) that I recently came across? I’ve tried several coin (Red, Blue, Black….) and have not been able to find a value. The obverse side, around the rim, of the coin has: FERDIN. VII DEI.GRATIA.1825 The reverse side, around the rim, has: HISPAN.ET.IND.REX.G.R.F.S. I can not find a mint mark (which worries me a bit). There is a crown on top of a shield that has 2 lions and castles perpendicular to each other. There is also a ribbon flowing around two pillars on each side of the shield that has: PIUS VII TRA(?, I’m sure about the TRA-part). I know that these “pillar dollars” or “piece of eight” coins were minted in Mexico City, several South American countries and, of course, Spain. I realize that these coins were notoriously counterfeited and that the earlier ones (1732 to 1772) are of greater value. Thanks for your help. You have an 1825 portrait 8 Reales (the pillar types are earlier and show the Pillars of Hercules instead of the portrait). 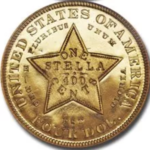 These coins were struck in large numbers at many Mints in the Americas as well as in Spain. 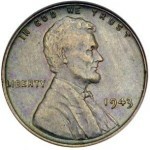 The mint mark is on the reverse before “8R” and appears as a single or double letter or monogram. The assayer’s initials appear after the denomination. The most interesting pieces struck under Ferdinand VII were minted in Mexico during the “emergency period” of the War for Independence from Spain. Coins were struck at Oaxaca, Real de Catorce, Sombrerete de Vargas, Tlalpujahua, Vallodolid, Zongolica and possible other mints. 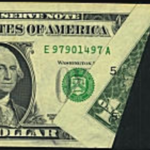 They are crudely minted and generally are seen in no higher than Fine condition. Examples of these are rare. 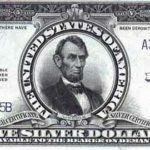 Value depends on mint mark, assayer and condition. Range: $20 – $2,500.